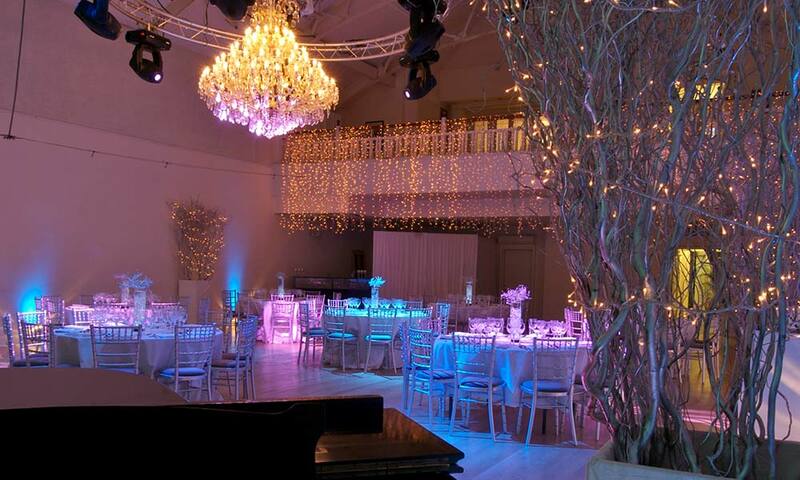 Guests arrive at the venue and enter the Manor House through the grand front door entrance and are taken through to the mezzanine overlooking the dining hall. Guests will enjoy a sparkling reception where they will be sipping from prosecco ‘DRINK ME’ flutes. With giant illuminated frames adorning walls before descending down the staircase where they will have to pass through large iron gates and feel snow underfoot as they enter Winterland. 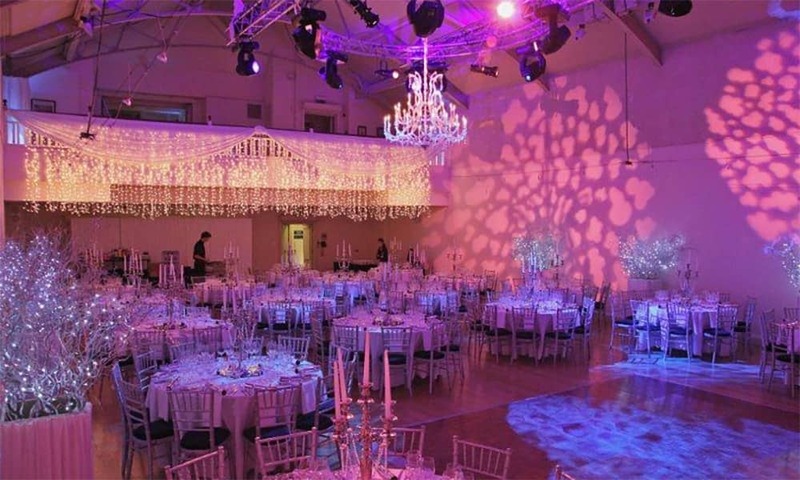 As your guests enter the beautiful Dining Hall, the stunning space is enchanced with crisp ice white linens, illuminated table centres and glacier bar. 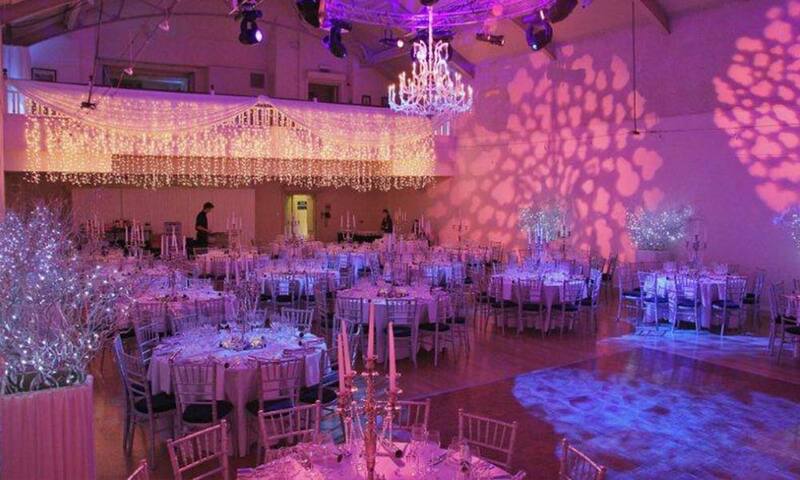 Snowflake projections cover the wall and jam jar chandeliers hang from the ceiling creating a truly magical setting. The feast is a three-course dinner served by the wacky waiters followed by a disco ensuring guests party through the night! 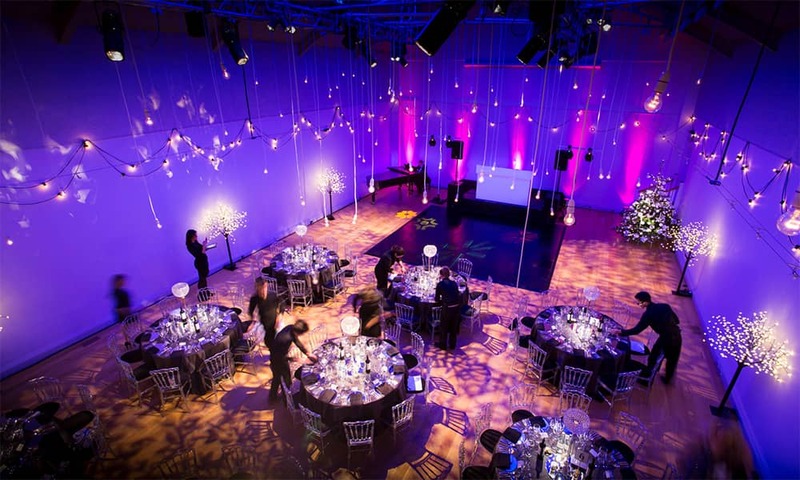 The venue is beautifully lit with ambient event lighting and fairy lights with giant props creating a feature wall in front of moving projections. 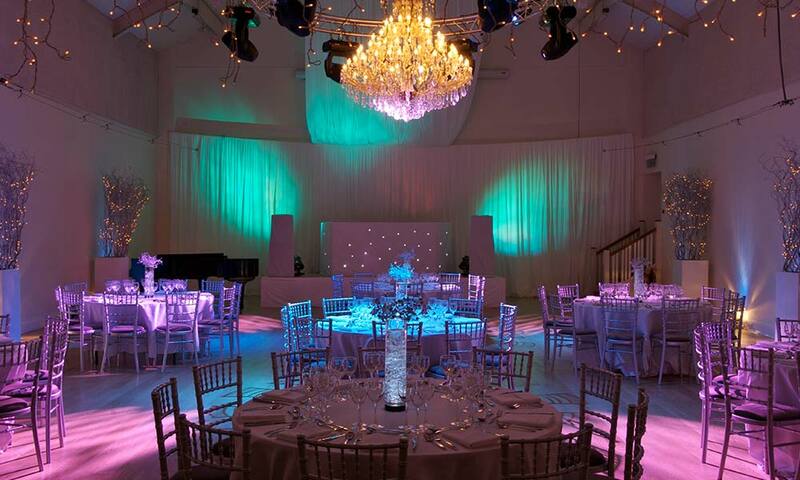 Tables are dressed in a crisp white and pale blue linen with illuminated chandeliers adorning each table. Our jam jar chandeliers hang from the ceiling and illuminated white birch trees surround the room all complimented with stunning ambient lighting effects. After dinner, it’s time to hit the black and white chequered dancefloor as our resident DJ plays party hits and Christmas classics! Coffee, tea and mints served from the coffee station. £35 + VAT per person (Please note this package must be bought for all members of your party). Drinks package “spirit add on” – 4 single spirit and mixer tokens. Please contact the office with your preferred dates, please choose at least 2 different dates if possible. There is a set menu for each, please select the menu tab above. The starter, main course and dessert are served to your table. We have designed delicious menus alongside our main menu for those guests who are vegetarian, vegan or have an allergy to dairy, gluten or nuts. We can also cater for Halal meals. Please note that these alternative meals must be ordered in advance of the party. Please note that kosher meals are available for an additional cost please contact us for details. Please note that should you wish to add guests to your booking, this is subject to our availability. If you wish to reduce the number of people in your party, any deposits already paid are non-refundable and non-transferrable. Any final balances are non-refundable and non-transferrable. All customers pay the Consumer Price to book their party. If you are a VAT registered business you may be able claim back the VAT  through your business like any other business expense, so you end up paying the advertised Business Price. *if applicable, your accountants will advise you on this and we will not be held responsible for any errors caused. Our marquees are semi-permanent structures with a spirit-level, carpeted, fully-suspended floor. The Marquee would be unaffected by even a severe storm. Please note that the venues in Maidstone, Leicester, Farnborough, Bristol, Leeds and Tobacco Dock in London are permanent buildings. Our parties can only be attended by guests who are over 18 years old. Are the venues all accessible? 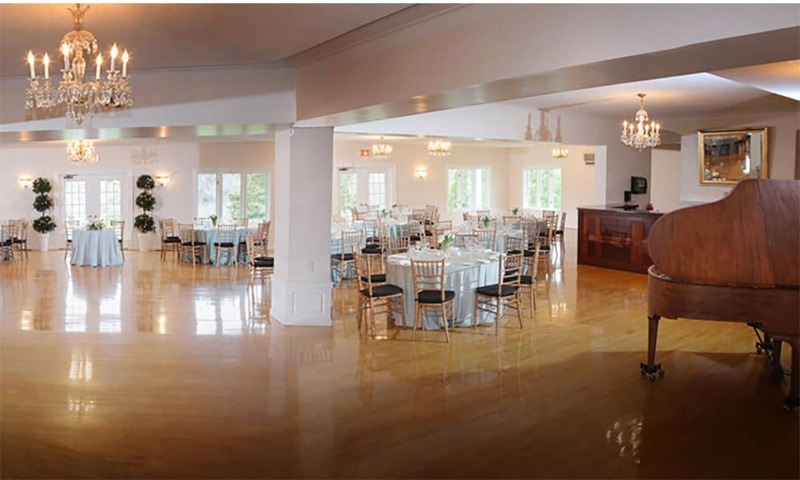 All of our venues are accessible to wheelchair users, or with limited mobility. Should any of your guests have such please do call us on 01273 858206 so we can do our best to ensure their requirements are looked after during the event. Please note that some of our venues have a raised dance floor, which is not always accessible to those people in wheelchairs. All of our venues have a cloakroom for guests, please note that all items are left at the owners risk. Questions about the party night? Most of our venues do have car parks adjacent to them, we are not responsible for any parking on the night. We have a strict smart dress code, and as such do not allow guests to wear jeans or trainers to our events. Can I dress up to match the theme? You can of course get into the spirit of the party, as long as your outfit fits within our smart dress code. Is there a table plan? When you enter the venue you will see several table plans displayed around the bar area, which detail which tables have been allocated to your group. We do not set out tables plans or names within groups, however should you wish to compile your own you are welcome to pop name places etc on your tables from 6.30pm on the night of your party. We have photographers at all of our venues, you can purchase and take home your photos on the night. Unfortunately, photographs will not be available to order after your event. Are there strobe lights used? 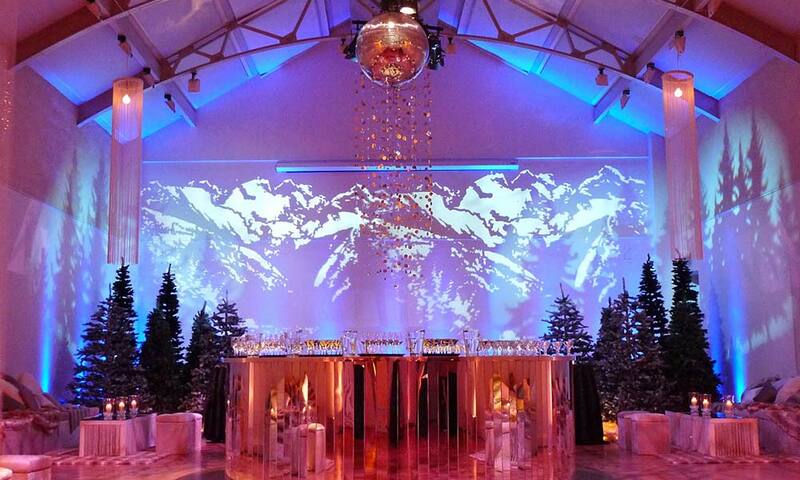 Yes, at some of our venues, the disco and entertainment may have bursts of flashing lights. How do I send my feedback to you? We always love to hear how much you have enjoyed our parties, and of course if you have ideas which may help us improve  please do email us and remember to include your party reference, all complaints will be dealt with directly with the venue. Any decision will be at their sole discretion. What's Included in the themed party?